A notice to vacate gives tenants three days to move out. 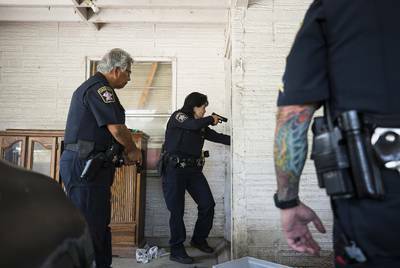 Travis County Deputies Juan Arispe and Theresa Stewart enter a home in Southwest Austin, where residents had been evicted. Karen Woodward speaks with her mother in a Walmart parking lot. The 42-year-old was living in her car after being evicted. 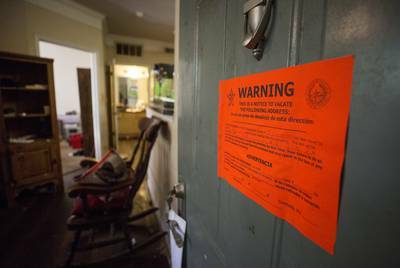 This article originally appeared in The Texas Tribune at https://www.texastribune.org/2018/10/10/eviction-travis-county/.